Commercial Hummingbird Nectar. Nectar without dyes. 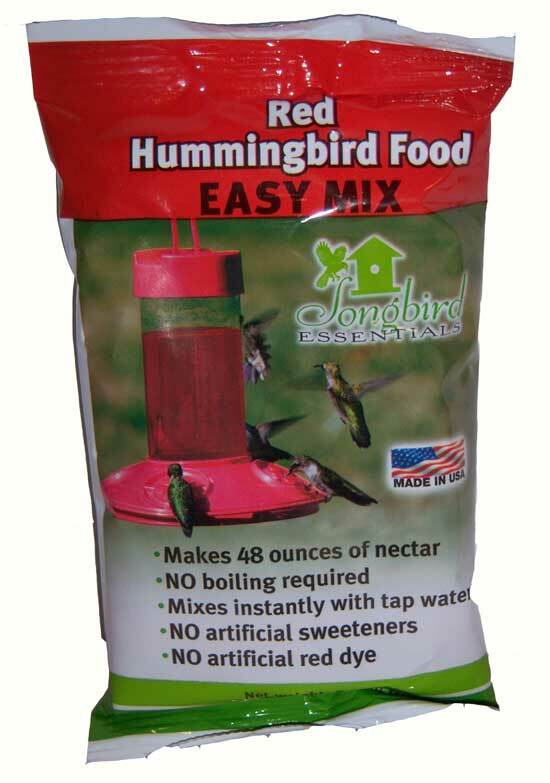 There is safe commercial hummingbird nectar available.These products are and available in a powder or liquid form. The powder of course needs to be mixed with water and the liquid variety is "Ready-to-Use"
Commercial Nectar is available in these powdered varieties. Here are two varieties that are made to mix with tap water, no boiling necessary, in a powdered form. There is no artificial sweeteners or artificial red dyes in the ingredients. Why is nectar so vital? Hummingbirds have the fastest metabolism of any bird. In fact their metabolism is 100 times that of an elephant. So don't worry about giving them a sugar rush. They need all that energy from the nectar we provide at our feeders. These birds are definitely territorial. I remember the first time that I witnessed a male hummingbird defend his food supply. I feared the fierce battle wouldn't stop before one precious creature injured the other. I am a cautious soul. So that exact same day, I ventured to the library to do some research on hummingbirds. I learned sharing was not an option. I hung several more feeders, so there was plenty of nectar for everybody. Delicate as these birds appear, hummingbirds have a survival instinct we can respect! You can make a simple nectar with our hummingbird nectar recipe by mixing a ratio of sugar and water. Please Note: Do not add any artificial food color to your homemade nectar. This can be harmful to hummingbirds. 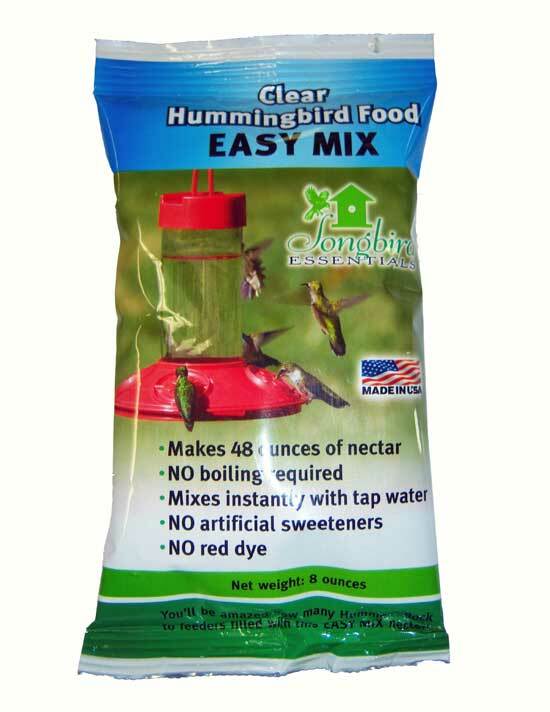 For greater convenience, many people buy commercial hummingbird nectar. Here are two varieties of a "Ready-to-Use", no mixing necessary, liquid hummingbird feeder nectar. It is available in clear without coloring and red with a natural coloring. We have have discovered a commercial product with a natural red color made from hibiscus flower extract. Hummingbirds are our dear feathered friends and we look forward to their visits to our feeders. Let's take care of them by feeding them regularly with nectar. Providing nectar is a simple task, well worth the effort. Please don't overfill your feeders. The reserve of nectar should be empty in 2 or 3 days. Otherwise, refresh the hummingbird's nectar before it can become moldy or contaminated. If this should occur, don't panic, you can clean your feeders with a mild dish detergent but make sure you rinse them thoroughly. Here are some feeder cleaning tips. Using hummingbird feeder brushes that were specially designed for this task really helps to make it easier and does a better job in your regular cleanings between fills.